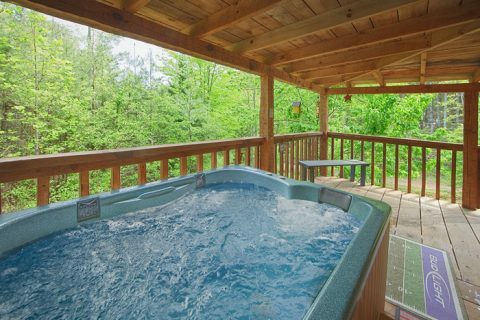 Welcome to the perfect romantic Wears Valley cabin rental getaway! 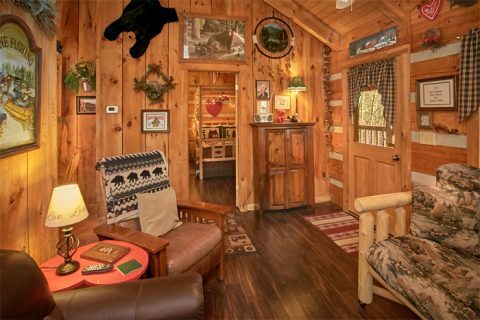 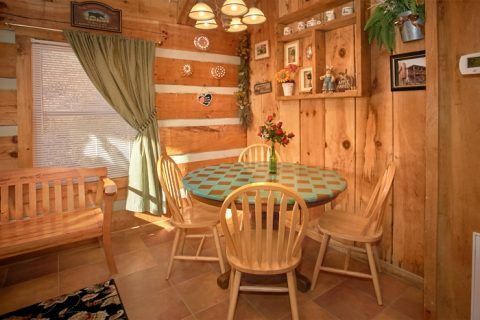 "A Love Nest," a comfortable one bedroom cabin, puts guests just minutes from all the fun and adventure of action packed Pigeon Forge but offers the comforts of a secluded mountain retreat! 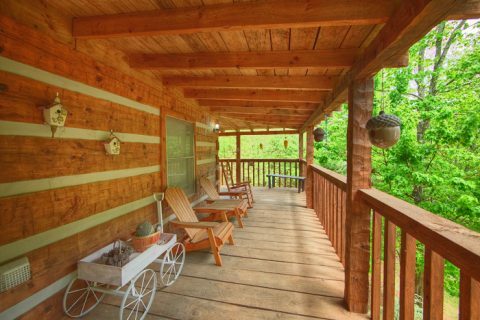 Your Smoky Mountains honeymoon cabin in Wears Valley rests in a tranquil wooded setting that's perfect for romance. 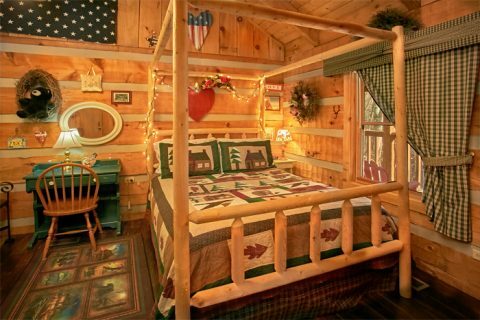 With its charmingly rustic interior, this cabin is perfect for anniversaries, honeymoons, or a playful romantic weekend. 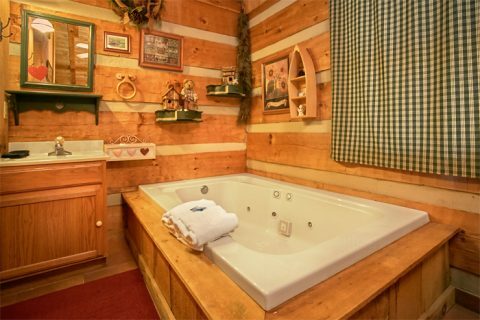 Enjoy a master suite with a comfortable king-size four-post bed and in-room jacuzzi tub! Additionally, this cabin in Wears Valley comes furnished with a fireplace for those chilly winter nights, a hot tub perfect for soaking in the views from the deck, a charcoal grill for cookouts, and a kitchen that's perfect cooking for romantic dinners for two. 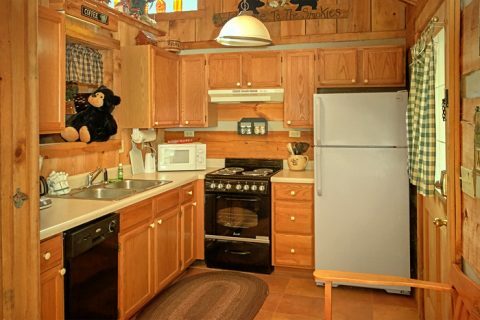 You’ll also get to enjoy practical amenities at your cabin such as WiFi internet and on-site laundry for a relaxing, convenient cabin stay. 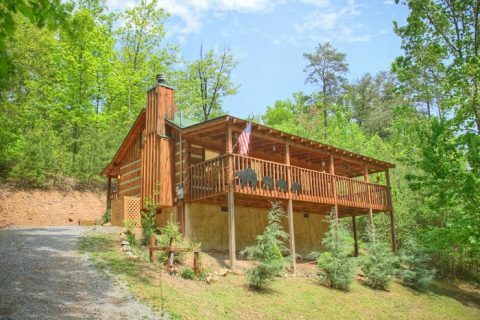 Your cabin is located in Wears Valley, a picturesque community just outside the national known as the sleepier side of the Smoky Mountains. 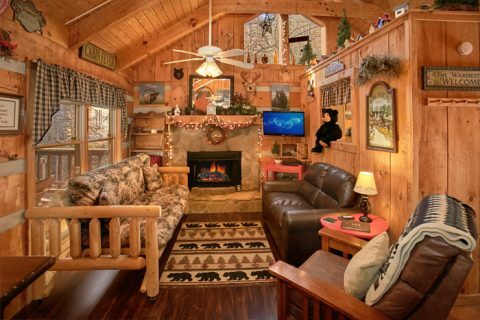 Here, you’ll find locally-owned shops found alongside the idyllic roadway between Wears Valley and Pigeon Forge offer hours of entertainment and authentic country charm. 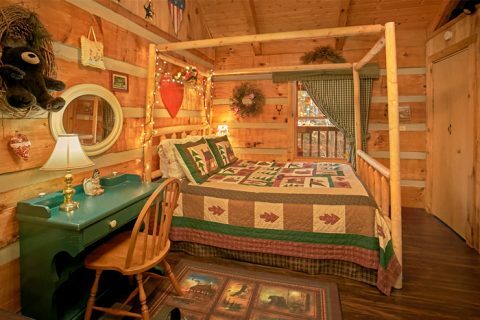 While there's plenty of fun to be had in Wears Valley, the Pigeon Forge Parkway boasts the greatest selection of attractions and amusements in the Smoky Mountains. 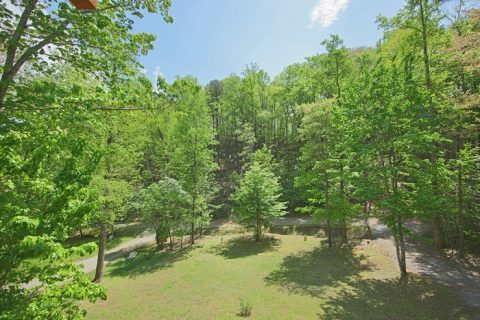 In the national park, guests can enjoy miles of hiking trails, stunning waterfalls, and the chance to see wildlife like deer. 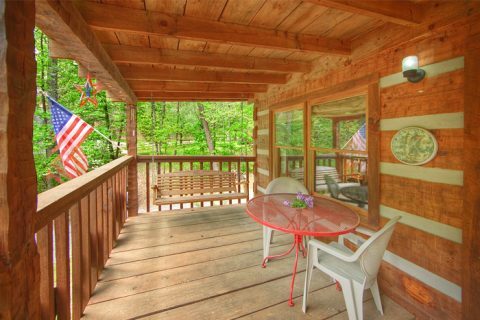 With so much to do within a short distance, your Wears Valley one-bedroom rental offer the perfect Smoky Mountain retreat. 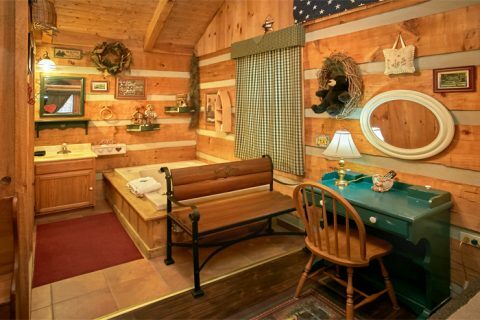 Book your Smoky Mountains Honeymoon cabin in Wears Valley, "A Love Nest," online with Cabins USA and earn an immediate Cabin Discount!